USTRAA as a brand has transformed the male grooming experience in India within the last few years. 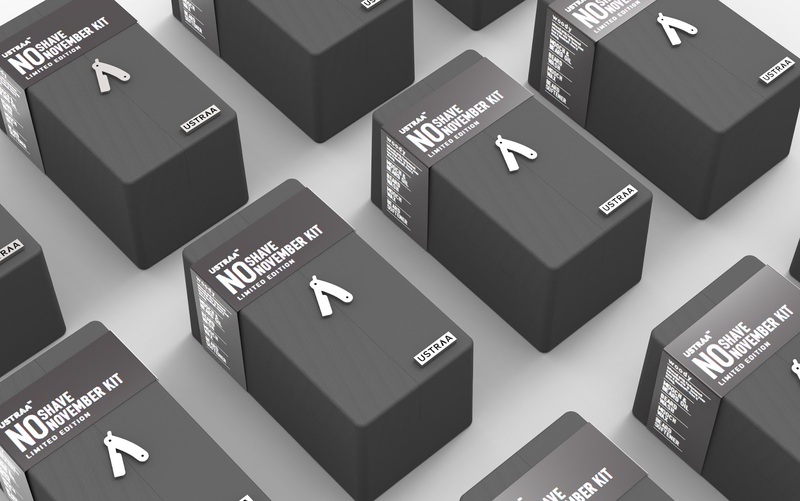 Our design brief was to develop a Unique Selling Point to boost the sales of the brand, against their competition. 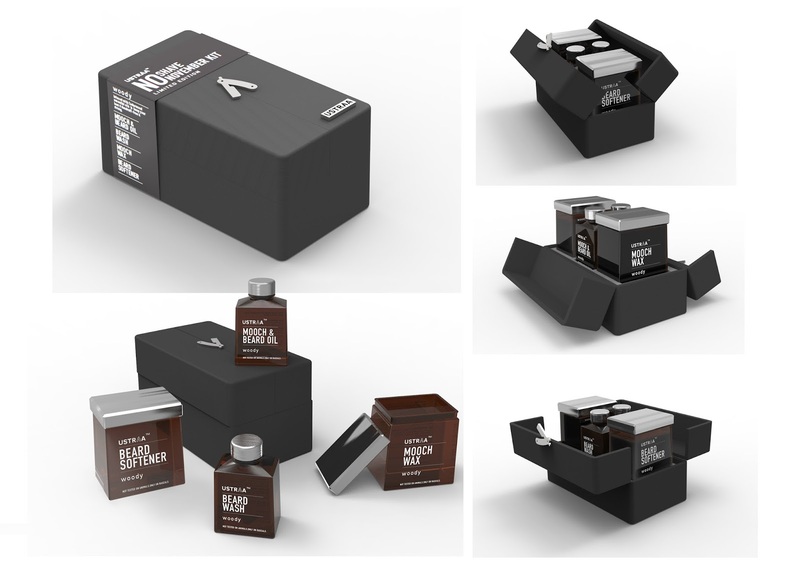 We developed a promotional 'No Shave November" Beard Grooming Starter Kit for guys who want to support the international campaign by growing their facial hair throughout the month. The design was mainly aimed at making the forms more masculine and attractive to the target user. Market and user research helped us develop the package in a better manner, that was more acceptable to the target audience. Our research showed that users considered the current bottle design to be more of a clinical form that was not very attractive to the current youth, who are a major part of the brand's customer group. Our approach was to redesign the form to make it a little more masculine and user friendly. The bottles were being sold separately in tin containers. As beard grooming is still at a growing stage in our country, a novice potential customer is not really sure of the products he requires. 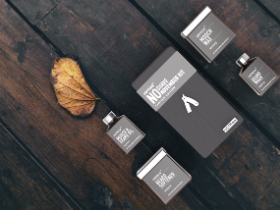 Hence, in support of the No Shave November campaign, we developed a complete starter kit that includes all essentials in one go. 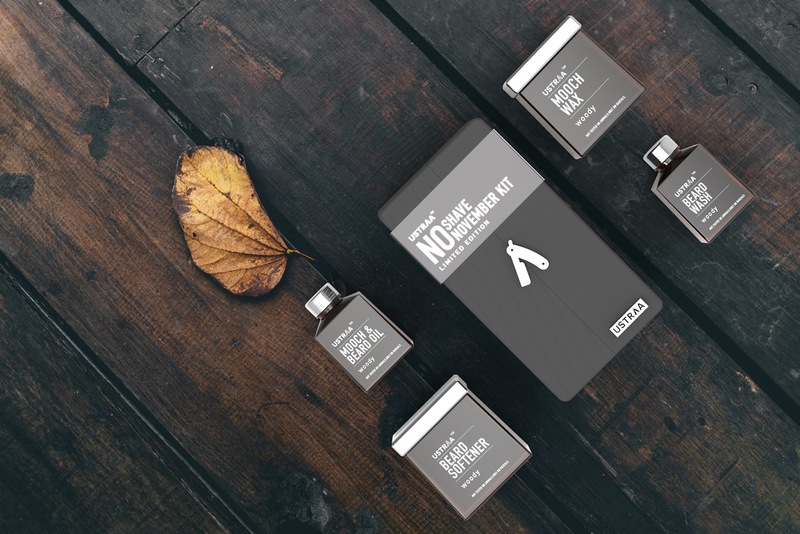 The Unique Selling Point for the brand would be a complete starter kit of essentials to kick start "No Shave November" campaign in limited quantities to attract new users. The bottles have a masculine form that makes it stand out from the competition. The 3 piece case molded in HDPE and covered in Rexin to give the appearance of leather, opens up to raise an internal platform that holds the 4 bottles snugly. This elegant raise of the bottles from the internal of the case provides a more dynamic user experience. 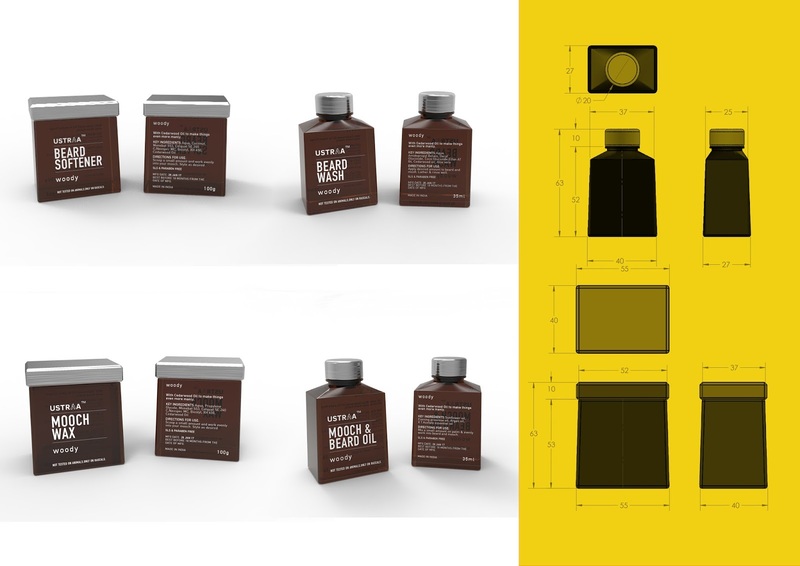 The case has been designed in order to be a brand identity that will help change the image of mens' grooming in India.